Making the most of your Twitter presence can be tough. There are so many people you could be engaging with and it’s hard to rate how effectively you’re using the platform. 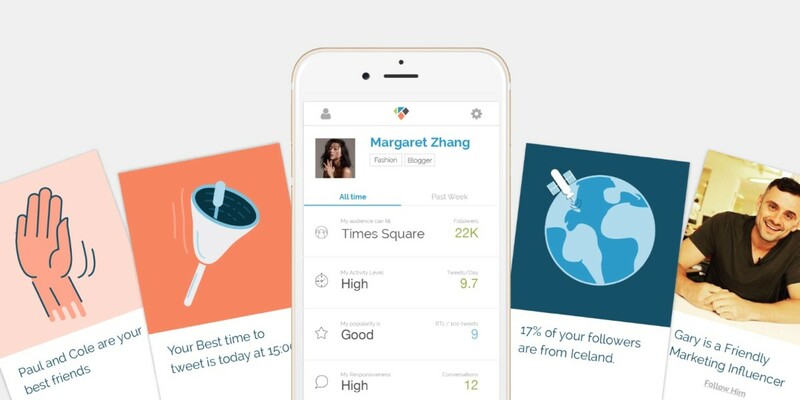 To address this, Klear has launched a new iOS app that gives you easy-to-parse stats and account recommendations. Klear, originally known as Twtrland, started off by offering a Twitter stats dashboard for desktop browsers, and this new app represents the Israeli company’s first sojourn into mobile territory. The app gives you an overview on your current performance on Twitter, including how it’s changed over time. It also gives you regular insights via a series of cards that suggest new people to follow, highlight influential people you follow and the like. You can tweet introductions to people it suggests right for the app. Slightly confusingly, the app combines your Twitter and Instagram followers to create an overall follower count, even though the app otherwise is largely focused around Twitter. Still, if you want to get more out of Twitter, this is a lightweight way of expanding your horizons.